space for storage of goods in india? Add storage capacity instantly and manage it all from one platform. 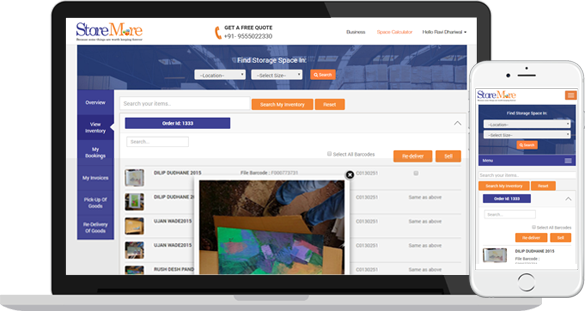 Intelligent fulfillment and order management Solutions with StoreMore. Empower your brand and increase customer satisfaction with a full service fulfillment provider that walks along side your brand as a committed partner. Manage distribution to all retail channels to meet OTIF requirements and reduce costs. Manage distribution to all retail channels to reduce costs. Get the details of goods in storage on phone or computer from the comfort of your home! Go for Global Standard based Warehousing with best value and price, the large brands use. 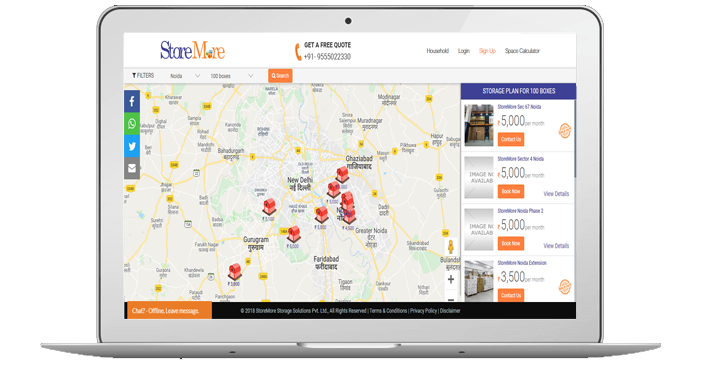 Rely on StoreMore to modernize as well as increase your Warehousing and distribution operations alongwith reach to new Cities. Through technology driven, innovation and analytics solutions, StoreMore optimizes your warehouse and distribution to new levels. StoreMore help 3PL’s by enhancing their business potential with a long lasting relationship by keeping customers first and deliver fast and reliable Services. Get the suitable site for your hazardous goods and chemicals, with strict safety and environment protection standards. Store Furniture and distribute to your end customers from our fulfilment centers across india. Store, Manage and Distribute your products for eCommerce platform at a fraction of the cost. Your books are safe with us, we leverage current technology and provide solutions from kitting, warehousing, order management and fulfilment, streamlining the process of protecting and managing your inventories. Flexible and highly efficient warehousing and logistics solutions for automobile sector to empower them at each and every step of value chain. Complete solution that gives end to end visibility throughout supply chain to ensure product safety and reliablity, while reducing spoilage and improving accuracy. No need to block your money in a security deposit. Put it in a fixed deposit with your bank instead! Come and go as you please. There will always be space for your goods in one of our facilities. Start with the space you need. Increase—or decrease it—with the click of a button. It’s that simple! StoreMore inspects and approves each of our warehouses to ensure they meet security and quality standards. Our warehouses are staffed with workers who are available to receive your inventory, palletize your goods, and perform custom services like kitting or labeling etc. Few of our esteemed B2B clients we serve for.